Baton Rouge is a vibrant city where fun can be found around any corner. Explore our blog to learn more about exciting holiday events, historical and educational opportunities, and the best tips on finding great Louisiana restaurants and shopping. Whether you’re looking for a family day at the zoo or live music in the evening hours, let our blog be your guide to living like a local. 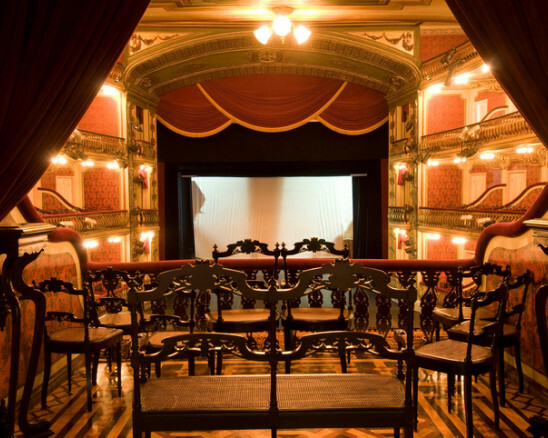 When most people think of fine opera, La Scala, The Met, and other famous venues are usually at the top of the list. However, although it may come as a surprise to some, it’s a fact that our own Opéra Louisiane consistently presents professional operatic performances right here in Baton Rouge. Featuring world-renowned performers, the company delivers royally on its mission to provide professional opportunities for Louisiana artists, culturally enrich the community, and educate school children by introducing them to the joys of opera. One of the Opéra’s most successful community projects is a monthly event held right here at the Crowne Plaza. “Lunch with Leanne” includes a lovely, three-course meal featuring General Director Leanne Clement, Artistic Director Michael Borowitz and a 30-minute professional performance with a different guest artist each month. April 15 will be the last of the series for the season and will showcase bass-baritone André Courville. Also, don’t miss the Opéra’s performance of “Carmen” on April 26 at the Manship Theater at the Shaw Center for the Arts. Be sure to save the date for this classic and beloved tale of passion, seduction, and betrayal. This month, Baton Rouge is offering up an abundant array of events and activities, and listed here are a few of our favorites. First, stop in at the LSU Museum of Art at the Shaw Center for the Arts for “Across the Atlantic: American Impressionism through the French Lens.” Showing from March 8 – June 9, this exhibit will feature more than 75 paintings and works on paper by such luminaries as Degas, John Singer Sargent, Childe Hassam, Mary Cassatt, and many more. Next, celebrate all things Irish on March 16 at the first ever Wearin’ of the Green Shamrock Run 5K, followed immediately by the 34th Annual Wearin' of the Green St. Patrick's Day Parade. This award-winning parade will have it all – bagpipers, marching bands, dazzling floats, and so much more – don’t miss it! Lastly, brides-and-grooms-to-be and all members of the wedding party will want to say “I do” for tickets to the Total Bridal Experience, on March 17 right here at Crowne Plaza. The show will focus on fashion, music, food, supplies, transportation, tips, and more. A Grand Prize Honeymoon will be up for grabs by one lucky bride or groom! Baton Rouge has always been a city with unique attractions and events, but for Valentine’s Day, sometimes traditional is best. Baton Rouge has always been a city with unique attractions and events, but for Valentine’s Day, sometimes traditional is best. Don’t underestimate the timeless appeal of dinner and a movie or a live show, Baton Rouge style, at the locations listed here. 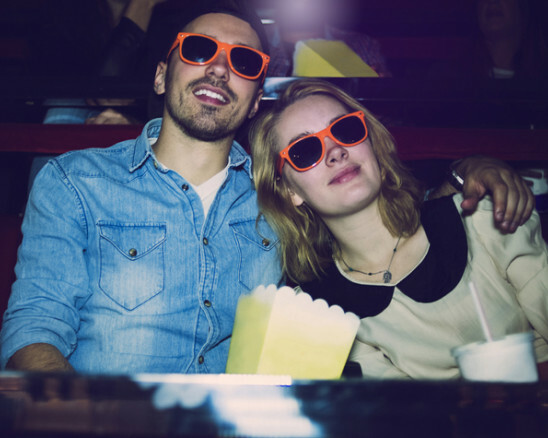 First, treat your sweetie to the Manship Theatre and the Capital City Grill’s Film Lounge Series, with unconventional movies, comfy seating, food and adult libations. Additional upcoming shows at the Manship include the 2019 Oscar-Nominated Short Films on February 10 (animation and live-action shorts) and February 22 (documentary shorts), and Spoof Night – Febru-Swayze Valentine’s Special on February 15. Next, for a different sort of lunch date, join us here at the Crowne Plaza on February 11 for Lunch with Leanne. Enjoy a 30-minute concert, a three-course lunch, and a visit with the performing artist. Hosted by Opéra Louisiane General Director Leanne Clement and accompanied by Artistic Director Michael Borowitz, this series is wildly popular, so reservations are recommended; call (225) 925-2244. This month, the city of Baton Rouge is offering our visitors an abundant variety of fun and fabulous activities, and four of our favorites are listed here. First, come Sing and Swing with us right here at Crowne Plaza on January 11, as we host the Celebrity Karaoke Competition Featuring Ned Fasullo and His Fabulous Big Band. Vote for your favorite celebrity singer – the celeb with the most money will become the new Sing and Swing Champion. Or, bid for yourself or others at your table if you want to sing. You’ll also enjoy drinks, appetizers, entrees, and desserts throughout this event. Next, join us on January 18-21 for MLK Fest 2019. This four-day festival’s goal is to encourage volunteers to participate in community events, art projects, and enrichment activities. Also, don’t miss out on the Louisiana Marathon on January 19-20. This two-day running event features runners from over 36 countries and all 50 states, and the best part is the Finish Fest on the bayou afterward. Jambalaya, gumbo, and etouffee will play starring roles, alongside duck confit and cochon du lait, and all will be accompanied by live performances of jazz-funk-zydeco music. December is a magical time of year when we trim the tree, shop for holiday gifts, and look forward to gathering with family and friends, along with a visit from Santa. While everyone celebrates the holidays in their own way, most folks have made a holiday tradition out of light-seeing – that is, touring the stunning light exhibits and shows throughout Baton Rouge and the surrounding areas. With that in mind, we have put together a list of some of the best of these for your consideration. First, gather up the kids and hit the zoo for the annual BREC ZooLights. Let the little ones dress as their favorite animal and explore a mile-long exhibit that features dozens of colorful and whimsical light sculptures of animals and animated displays. Next, cruise over to Baton Rouge General Medical Center for a brand-new, musically-synchronized light show. Don’t miss a visit to West Baton Rouge for Reflections of the Season, where you can drive, walk, or be conveyed by a horse-drawn buggy through a dazzling display. There’s also snow, ice fishing, rides, and games. Lastly, be sure to drive through Shadrack’s Christmas Wonderland – a spectacular LED show synchronized to traditional holiday tunes. Baton Rouge has so many holiday events that it’s often difficult for our guests to choose from all that’s available. To that end, we are offering these suggestions: First, bring your holiday shopping list to the White Light Night Art Festival on November 16 at the MidCity Art and Design District to browse an array of unique and gift-worthy local art. You’ll also enjoy live music as you shop and visit with trendsetting, avant-garde artists in the District. Next, don’t miss the city’s annual Festival of Lights on November 30 at North Boulevard Town Square. Marvel at the downtown tree lighting, the snow village, and the star canopy, then visit with Santa and check out the Reindeer Run! 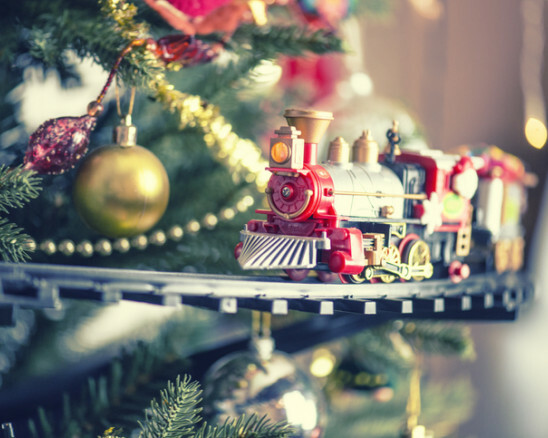 Ride the magical train, and enjoy this year’s inaugural “Cajun Night Before Christmas.” More illuminated holiday attractions include the drive-through Shadrack’s Christmas Wonderland from November 17 – January 7, and the Baton Rouge Zoo’s ZooLights from November 23 – December 30. A tale from ancient Cajun folklore, the fifolet is a playful ball of blue flame that is only seen in the deeps of the swamps of Louisiana. The legend is that if you follow it, you will either find either treasure, or be lured to your death. Baton Rouge has adopted the fifolet as a mascot representing the treasures of their Halloween celebrations. The Fifolet Halloween Festival is a festive event, lasting from October 19-28 this year, and features loads of fabulous, fun, and family-friendly activities like the ones listed below. October 19: Join us here at the Crowne Plaza to kick off the festival with the 6th Annual Ghostly Gala. 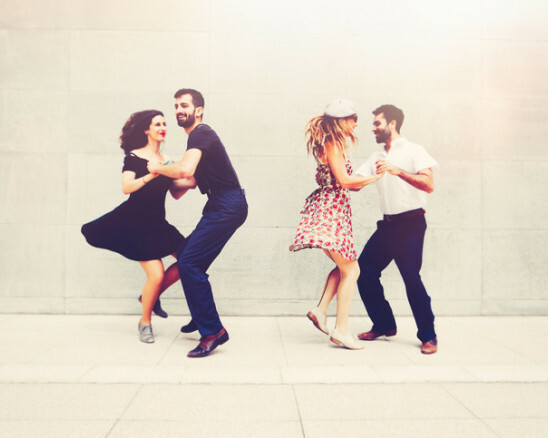 Step up to the open bar and enjoy a full buffet, games, dancing, and more. Come costumed or get artsy with your finery; the costume contest awaits! For details, call (877) 573-1031. October 20-21, and 28: Boo at the Zoo! A trick-or-treating event that’s merry, not scary, and ideal for the little ones. Take a creepy ride on the Cypress Bayou Railroad, and check out the Hay Maze and the Enchanted Swamp! October 27: Pumpkin Pi 3.14 Mile Race: This 3.14-mile long race on the Mississippi River Levee will determine the truly tough pumpkins. All runners will be in costume, anyone who runs the “Pi” while holding a pumpkin receives a special award. October 27: 8th Annual Baton Rouge Halloween Parade: Cool Krewes, colorful costumes, candy throws, and more take over the streets on October 27, as this “parade with a purpose” rolls through. Bring a non-perishable food item and help the kids in the community to have a safe and happy Halloween. October 27: Rocky Horror Show Live: An absolutely fabulous cast will give one freaky, midnight performance at Theatre Baton Rouge. October 28: Cemetery Bike Ride - Velo de los Muertos: Get outdoors and pump those pedals with Bike Baton Rouge for the 2018 Historic Cemetery ride. September offers our guests many delightful activities from which to choose, and three of the best of them are listed here. First, raise a glass of champagne and toast the opening night of the Baton Rouge Opera on September 14 at Manship Theater. Artistic Director Michael Borowitz will accompany five of the world’s finest vocalists on piano. The performance will include musical theater favorites in addition to an entertaining opera lineup. Be sure to arrive early for hors d’oeuvre and champagne. Next, don’t miss out on a “purrfectly” fabulous evening poolside at the Crowne Plaza at the 17th annual Cat Tails & Cocktails: GO WILD! on September 28. This fundraiser for Cat Haven will include dinner, drinks, a wine pull, a silent auction, and more. Stormy the Band will keep the party jumping for this excellent cause. Lastly, treat yourself to bottomless mimosas and fabulous eats at our own Sunday brunch. Whether you opt for classic traditional, time-honored Southern dishes, or all of the above, you’ll appreciate our outstanding food and service. For reservations, call us at (225) 925-2244. For more than 80 years now, Louisianians and their guests have enjoyed a huge, home-town festival honoring two of their primary industries – shrimp and petroleum. Traditionally held on Labor Day Weekend, this year’s 83rd annual celebration begins in Morgan City on August 30, and continues through Monday, September 3. From the Blessing of the Fleet and the Water Parade to the Fireworks on the River and the Arts and Crafts show, you’ll find more fun and good food here than you can shake a red stick at. From Jambalaya to fried alligator, you’ll find it here. There’ll also be a 5K Fun Run/Walk, a Festival Car Show, a children’s village, and a Cultural and Heritage Center. In addition to the fabulous Cajun food, you’ll also find a boatload of free live music, featuring the genres of Gospel, Soul, Zydeco, Cajun, Country, and popular tunes. Musicians on hand for the festival include Kyle Daigle, Keith Frank, and the Soileau Zydeco Band, Souled Out, The Earmuffs, Chase Tyler Band, Snapper and the Fishsticks, and KQKI Country Showdown Winner Brittney Billiot. For more information, call (985) 385-0703. A cherished, two-decades-old tradition, the Baton Rouge Gallery's unique summer film series is back for another season. Movies & Music on the Lawn brilliantly combines classic silent movies with original music from local, talented, contemporary bands. The movies are projected onto a large, inflatable, outdoor screen while the band plays their own live score. The pairings are often whimsical but always manage to meld perfectly for a compelling and one-of-a-kind experience. The next performance on Friday, July 27 is “The Mark of Zorro,” starring the inimitable Douglas Fairbanks and music by Baton Rouge’s own psychedelic fusion band, Hydra Plane. August 25 will feature “Kids Night with Pixar,” with original scores for Pixar shorts by the kids of Baton Rouge Music Studios. The season will end on September 29 with the 1926 version of “Faust,” starring Gösta Ekman as Faust and Emil Jannings as Mephisto, along with the music of local band Ship of Fools. For times, tickets, and additional details click here. Join us in downtown Ruston June 22-23 for the 67th Annual Louisiana Peach Festival and the Beta Sigma Arts & Crafts Show. Indulge Dad, along with the entire family, in a celebration of peach lusciousness, including pies, cakes, tarts, salads, and main dishes. Don’t miss the Cobbler Gobbler Eating Contest, where 10 contestants will vie for $1,000 and the Cobbler Eating Championship Belt. 2018 winners will be selected for the titles of Princess Peach and Miss Dixie Gem Peach, an antique car show, rides, fishing tournaments, a rodeo, and additional sporting events. The Peach Parade will feature clowns, cheerleaders, floats, and marching bands, along with a gathering of dinosaurs to entertain the little ones post-parade. Don’t miss the Beta Sigma Phi Arts and Crafts Show going on during the festival. Browse the handcrafted wares of over 150 vendors as you nibble on spoonfuls of fresh peach ice cream. You’ll find everything from pottery to paintings, jewelry to woodcraft, and specialty coffees and edibles. For additional details, click here. 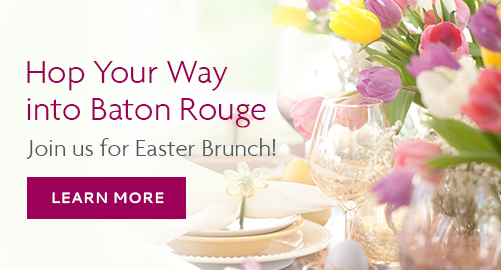 This month, Baton Rouge offers four terrific events for our guests. Check out our list – there’s something fun for everyone! First, art and music lovers will want to save the date of May 11 for the 14th annual Baton Rouge Mid-City Merchants spring art festival. “Hot Art, Cool Nights” will feature local artists, artisan/crafters, musicians, and more. For details, email info@midcitymerchants.org. Next, Bonerama will be the featured attraction at the Sunday in the Park outdoor concert on May 13 at the Shaw Center for the Arts Plaza. If you’re craving some black-eyed peas and sweet potato pie, then you’ll want to mosey on over to the first-ever Baton Rouge Soul Food Festival May 19-20 at Riverfront Plaza. Indulge your cravings as you listen to live music and check out the judged soul food cooking contest. For details, call (225) 802-9681, or click here. Lastly, you can’t leave Louisiana without a taste of our famous jambalaya, and the Gonzales Jambalaya Festival on May 25-27 is a jambalaya lover’s paradise. Great food and live music will be accompanied by a car show, cook-off’s, and much more. Click here for more information. Calling all brides-to-be! Mark your calendars now for The Total Bridal Experience right here at the Crowne Plaza Hotel on April 8. The show will offer brides guidance and fresh ideas in all areas of wedding planning. It will feature over 50 exhibits with a large selection of local professionals on hand to consult with you on products, services, and venues for your special day. Door prizes will be announced throughout the show and a Grand Prize will be awarded at the conclusion. For details, call (225) 925-2244. Also, make plans to catch some of the most interesting, eclectic, and avant-garde films at the Louisiana International Film Festival from April 12-15. Call (225) 612-2193 for more information. Finally, don’t miss the Baton Rouge Ballet Theatre’s end-of-the-season performance of “Cinderella” on April 13-14. This enchanting story will fascinate and thrill every age group, with its stunning costumes, magical special effects, and a glorious score. For tickets and details, call (225) 766-8379. This month the Capitol City holds a spotlight on two of its traditional holiday events. First, don’t miss the return of one of the region’s largest Saint Patty’s Day events, the 33rd annual Wearin’ of the Green Parade. 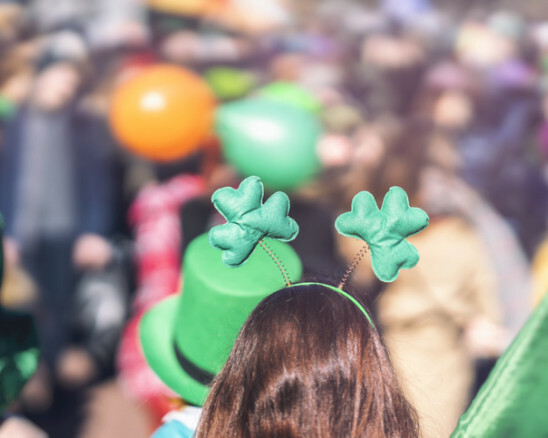 Held on Saint Patrick’s Day, the parade will include the Kilts & Kisses Walking Parade just ahead of the dozens of floats, marching bands, and many other favorite attractions. For details, call (866) 920-4668 or click here. Also, be sure to treat the family to the Old Fashion Easter Celebration on March 25 at the LSU Rural Life Museum. This celebration will focus on the cultural and historic traditions of egg hunting and Easter in Louisiana. Games, music, storytelling, egg hunting, and a jellybean count are featured activities, along with photos snapped with the big bunny himself. There will also be egg-dyeing demonstrations, old-fashioned spoon races, and egg paquing, also known as boxing or knocking. A tradition with roots in early European history, paquing consists of two people holding a boiled and dyed egg in their fist and then smacking them together, tournament style, to see which is the strongest. For details, call (225) 765-2437. Whether you’re sampling a sweet slice of multicolored King’s Cake, taking to the streets to cheer on your favorite Krewes, or catching brilliantly-hued ropes of beads – Baton Rouge is the perfect destination for family-friendly, Mardi Gras fun. But, once the parades are over, be sure check out three colorful and fascinating Mardi Gras-related exhibits. First up is “Mardi Gras Indians: By J. Nash Porter.” This show includes color photographs of New Orleans’ historic Mardi Gras Indians. Porter’s work was heavily influenced with the New Orleans Mardi Gras Indians, but his other photographic exhibits include an assortment of African-American jazz and blues musicians. Next, the “Creoles du Monde” exhibit portrays the rich history and culture of Creole people via photos, paintings, and textiles. Lastly, Baton Rouge artist Marcus Ciko’s work will be the focus of “3-D Beads: A Mardi Gras Art Celebration.” The exhibit will feature Ciko’s unique, three-dimensional flags, costumes, throws, and even football jerseys made from Mardi Gras beads. Both “Mardi Gras Indians: By J. Nash Porter” and “3-D Beads: A Mardi Gras Art Celebration” will be on display through February 25. “Creoles du Monde” is on exhibit until May 6. For details, click here. The vibrant and stirring sounds of jazz trumpeter and pianist Arturo Sandoval will fill the air at the Shaw Center for the Arts on January 17th. Presented by the River City Jazz Masters, Sandoval’s performance promises to be a dynamic and delightfully entertaining experience. Born in Havana, the Cuban-American performer was originally inspired while studying classical trumpet by such famed fellow jazzmen as Dizzy Gillespie, Clifford Brown, and Charlie Parker. After defecting to the U.S., he developed a passion for jazz, began composing and performing, and has since become one of the most popular and beloved musical talents of our time. During his career, Sandoval has received 10 Grammys, 6 Billboard Awards, and an Emmy. He has also performed at the Academy Awards, along with the two award shows previously mentioned. He is also the recipient of the 2013 Presidential Medal of Freedom, the 2015 Hispanic Heritage Award, and possesses an Honorary Doctorate in Fine Arts from The University of Notre Dame. To watch Arturo Sandoval on video, click here. For show tickets, click here. This December, guests of the Crowne Plaza will have a myriad of holiday events and activities from which to choose, and here are four favorites. First, catch a performance of “A Christmas Carol” at Theater Baton Rouge. Daily show times are 2:30 p.m. and 9:00 p.m. through December 17th. As a special treat for the little ones, the supporting cast will present a Gingerbread Workshop on December 10th at 4:15 p.m. After the 2:00 p.m. show, gingerbread cookies for decorating will be served, along with eggnog and hot chocolate. Carols will be sung, and Santa will be in attendance. For details, click here. Don’t miss the Downtown Christmas Parade on December 9th this year. From 5:30 p.m. – 7:00 p.m., the Cortana Kiwanis will present a beloved and magical holiday tradition for one and all. For details, call (225) 341-3412. Lastly, take the family on a trip to the wild side this season with ZooLights. 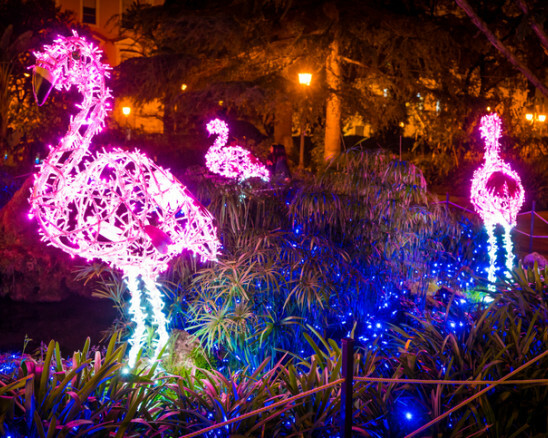 Larger-than-life light displays of many favorite zoo animals will be showing nightly. ZooLights will be on display from 5:30 p.m. – 8:00 p.m. until December 30th, 2017 at BREC’s Baton Rouge Zoo. For details, click here. During the turbulent era of the late 1960s, many young soldiers and marines boarded the troopship General Nelson M. Walker for the long voyage to a country from which some would never return. During the turbulent era of the late 1960s, many young soldiers and marines boarded the troopship General Nelson M. Walker for the long voyage to a country from which some would never return. They slept on canvas bunks, and used them for more than sleeping. These young men drew, scribbled, and wrote messages on the canvas for those who would soon follow. In 1997, the bunks were removed, preserved, and saved by mere chance thanks to the Vietnam Graffiti Project (VGP), which was founded upon the discovery of the artifacts. Thus was the traveling exhibit, “Marking Time: Voyage to Vietnam” born. Now showing at the U.S.S. Kidd Veterans Memorial and Museum, this exhibit honors these young men who were heading off to fight in a very unpopular war and tells their stories through their own slogans, writing, and artwork reminiscent of the times - including anti-war sentiment, humor, and politics. This traveling exhibit will be on display through February 28, 2018 from the hours of 9:30 a.m. – 3:30 p.m. For more information, please contact Development Coordinator Christine Bruce, via phone at (225) 342-1942, Ext. 13, or via email at CBruce@usskidd.com. The leaves are turning, and there’s a ghoulish foreboding in the night air—all signs that the 7th annual Baton Rouge Halloween Parade is nearly upon us. The leaves are turning, and there’s a ghoulish foreboding in the night air—all signs that the 7th annual Baton Rouge Halloween Parade is nearly upon us. On Saturday, October 28, starting at 2 P.M., join the Greater Baton Rouge Food Bank and the many costumed marchers, dancers, and musical acts ready to entertain you as they process through downtown Baton Rouge. With an overarching theme of Rhythm and Boos, this year’s parade will pay tribute to the eclectic blend of music that’s made Baton Rouge a unique cultural hub throughout its history. Designated parade participants will be collecting donations of non-perishable food items directly from the crowd, and all proceeds from the event will help to make Halloween a safe and joyous holiday for the kids of the greater Baton Rouge community. With its incredible costumes, extravagant floats, and generous candy throws, the Baton Rouge Halloween Parade promises to be a great time for kids and adults alike. Baton Rouge has its fair share of museums, but there’s no need to go inside to enjoy stunning art installations. Just check out these spots around the city. Murals of the Future: In 1998, talented student artists from area middle schools were asked to imagine what the city would look like in the year 2020. You can see their futuristic visions immortalized in several murals along the Riverfront Plaza. Murals at the Museum of Public Art: Located at the intersection of Myrtle Walk and Eddie Robinson Sr. Drive, this museum is surrounded with murals by internationally renowned artists. Murals of the Museum of African-American History: Located at 538 South Blvd., this museum’s front entrance is accompanied by a classic Mercedes bus painted in tribute to the Baton Rouge bus boycott of 1953. Beneath the adjacent overpass, you’ll find murals dedicated to enslaved and freed persons of color across the Old South. Metallic sculptures outside the House of Jamba: Located at 4808 Government St., this artist’s home is the site of some truly dazzling scrap metal creations, including massive birds, seahorses, pachyderms, and even a few extraterrestrials. One of the premier tour companies in Louisiana, Baton Rouge Red Stick Adventure Tours can arrange all sorts of outings, whether through the city, the swamp, or environs. The one we’re most fond of, however, is also the most unique: the haunted plantation tour through the historic Myrtles Plantation. One of the premier tour companies in Louisiana, Baton Rouge Red Stick Adventure Tours can arrange all sorts of outings, whether through the city, the swamp, or environs. The one we’re most fond of, however, is also the most unique: the haunted plantation tour through the historic Myrtles Plantation. Located 25 miles outside Baton Rouge and officially recognized by the National Historic Register, this 1796 estate is shrouded in colossal oak trees and ornamented inside and out with the magnificent ironwork, tapestries, crystal, and gold flourishes typical of the antebellum elite. Your guided tour will include a thorough exploration of the main floor of the opulent home, supplemented by photographs and other documents that reveal the mystery and menace of “One of America’s Most Haunted Homes.” Tours will leave Baton Rouge on Fridays and Saturdays no later than 6:15 P.M. Hotel pick-up is included in the price of your tour. For more information, please call 225-772-7253 or email redstickadventures@gmail.com. At Crowne Plaza Executive Center we’re excited to be getting ready for Independence Day celebrations in Baton Rouge, where fireworks by the truckload will illuminate the night sky over the Mississippi River. At Crowne Plaza Executive Center we’re excited to be getting ready for Independence Day celebrations in Baton Rouge, where fireworks by the truckload will illuminate the night sky over the Mississippi River. We recommend our guests pack their favorite food and drink and take a short ten-minute drive up to the historic USS Kidd Battleship, a favorite spot for families to lay down blankets and enjoy the fireworks display. Those in the mood for daytime festivities should consider heading up a little earlier, as the USS Kid’s Freedom Festival kicks off at 11 A.M. the morning of the Fourth. You might also check out the annual Fourth of July celebration at the Shaw Center for the Arts, hosted by the Louisiana Museum of Art. Smoked barbecue, delicious drinks, and fine art make for an intoxicating Independence Day mix. Late night revelers will have no problem finding additional fun after hours, as the bars stay open late here in Louisiana. You’ve probably heard of the “escape game” craze by now: a bunch of friends are locked in a room for an hour, and they have to work together to figure out how to get out. But even though you’ve encountered the basic premise, you’ve never encountered anything quite like 13th Gate Escape. You’ve probably heard of the “escape game” craze by now: a bunch of friends are locked in a room for an hour, and they have to work together to figure out how to get out. But even though you’ve encountered the basic premise, you’ve never encountered anything quite like 13th Gate Escape, a thrilling experience thought up by the same mad genius creators who brought you Baton Rouge’s epic 13th Gate Haunted House. Just a short drive from our hotel, 13th Gate Escape is designed for groups of four or more and allows you to choose from six vastly different scenarios, each with a unique theme, including Indiana Jones, haunted asylum, maximum security prison, and undercover agent. To help you select the best themed room for your group, the helpful staff will give you the rundown of each room’s difficulty level, in terms of logic, math, scare-factor, and how much physical exertion is required. Afterwards, your nail-biting adventure conquered, you can head out for a night on the town, or just head back to the hotel for a luxurious night’s sleep. On Friday, May 12, from 6 to 10 P.M., join thousands of artists, musicians, and art-lovers for “Hot Art, Cool Nights,” an annual celebration of the local art scene in and around Baton Rouge. On Friday, May 12, from 6 to 10 P.M., join thousands of artists, musicians, and art-lovers for “Hot Art, Cool Nights,” an annual celebration of the local art scene in and around Baton Rouge. Sponsored by Mid-City Merchants, this spring art festival is a preeminent event for the city where local artists, both established and up-and-coming, debut original work including painting, sculpture, photography, jewelry, live musical performances, and more. Mid City, the location of the festival, is an historic neighborhood of Baton Rouge. Spanning several blocks, it is built atop what was once a lush oak grove, a legacy attested to by the many venerable oak trees that adorn its historic streets. Shuttle service will be available to take you from one end of the festival to the other, but for the full, authentic Baton Rouge experience, we recommending walking. You’ll revel not only in the art displays you might otherwise overlook, but also the striking Louisiana architecture that blends a range of national heritages and historic styles in our unique southern hub. Throughout the year the Baton Rouge Symphony Orchestra’s calendar brims with legendary performers. Among the premiere cultural organizations in Louisiana, for years the Baton Rouge River Center has generously lent its stage to renowned soloists and conductors. For an evening that’s as musical as it is historical, visitors should flock to the Baton Rouge Symphony Orchestra. Names recognizable even to the least concert-going of us have enthralled audiences from one season to the next, including famed violinist Itzhak Perlman and songwriter Natalie Cole, cellist Yo-Yo Ma and jazz trumpeter Chris Botti. Throughout the year, the Baton Rouge Symphony Orchestra’s calendar brims with legendary performers and local talent too. Grab the whole family’s attention with tickets to see five-time Grammy Award winning vocalist Dianne Reeves this month or hold out for E.T. The Extra-Terrestrial in Concert. Hear John Williams’ fabulous score as if for the very first time when Steven Spielberg’s classic tale of boyhood comes to life under the baton of a full orchestra. Now that's music to our ears! Look out for Baton Rouge’s most original, long-lasting parade troops. It might be common sense that Louisiana is the last word on Mardi Gras festivities, but did you know that its origin can be traced back to 18th-century European revelers? The name itself comes to us from boeuf gras, the French traditional phrase for fattened cow. Obviously Fat Tuesday has become about more than plump roast. ‘Krewe of Artemis’ continues to reign as the first and only all-female parade in Baton Rouge. The adorable ‘Krewe of Mutts’ is a parade of animal lovers who sure dress to paw-lease. An affable bunch, ‘Krewe of Spanish Town’ likes to get quirky with their flamingo costumes. In Baton Rouge another New Year’s ball has touched down. But long after the stroke of midnight there’s still something for everyone in the Louisiana capital. If your resolution is to shake off the awkward memories of last year, Radio Bar’s DJs are equipped to help. Spinning everyone’s favorites and blasting the best of the decades with other seldom-heard rarities, this party lasts until two in the morning. Every weekend Louisiana’s cheerful farmhands bring you the can’t-miss Red Stick Farmers Market, which begins early downtown on the first floor of the Galvez Garage. There’s plenty of fun to rummage through for adults and their kids. The Baton Rouge River Center presents Rodgers & Hammerstein’s Cinderella, a Tony Award-winning musical from the masterminds of The Sound of Music. This lavish production features a full orchestra, pumpkin carriage, and more dazzling transformations. © 2019 Crowne Plaza Executive Center - Baton Rouge. All Rights Reserved. Stay connected with us via email for special offers and promotions! Yes, I Would Like To Receive Offers!